Accuride industrial and telescopic slides provide precise linear motion to any application. Accuride, known globally for their versatility in a wide range of applications, provide rugged, modular industrial slides for use in wide range of market sectors, from commercial vehicles to military electronics. This range of Accuride industrial slides is available in sub-Saharan Africa through Tectra Automation. 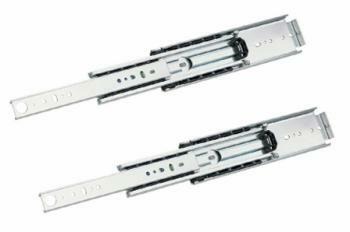 This range of Accuride linear slides features a range of heavy-duty recirculating ball slides and a linear motion track with a recirculating ball carriage. Range includes locking, full-extension and all-duty Accuride telescopic slides, as well as a range of slides for hygiene-sensitive applications. Through our dedicated project team with extensive design capabilities, Tectra Automation is able to customise Accuride industrial slides for African conditions. Why choose Tectra Automation as your industrial slide supplier? For more information on Accuride industrial slides, contact Tectra Automation today on +27 11 971 9400 or send us an enquiry!